It looks like Millennium Pictures is releasing “Accidental Love,” aka Nailed, on VOD February 10th and giving it a theatrical release on February 20th. No word if it is wide or limited but regardless we will be seeing it next month in the States! Along with the awesome news of the theatrical release we also have a new behind the scenes photo to share! 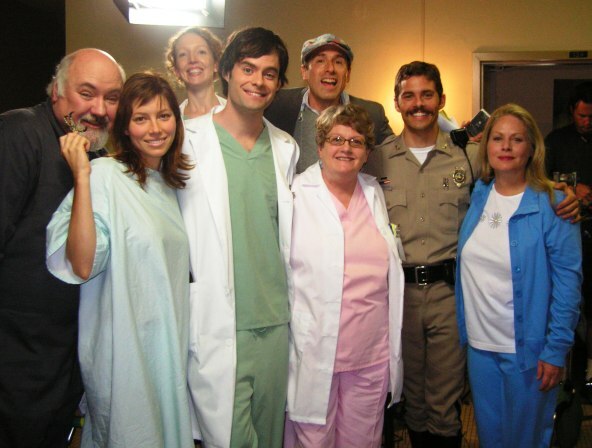 It was taken when they were filming the hospital scene. I can’t believe we’re finally going to see it :D.